So you have decided to invest in a canopy cover, or, as your case may be, reinvest in a canopy cover? In either case, the information we will provide in this article will make your choice a bit easier. 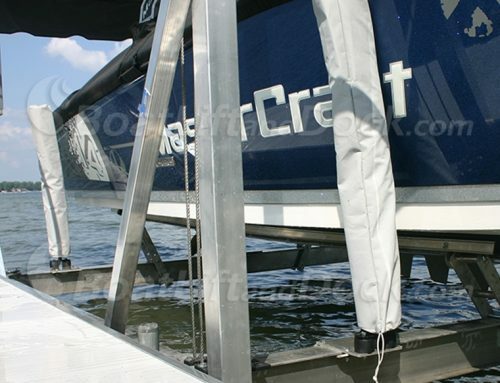 If you are interested in purchasing a new canopy cover for your boat lift there are a number of details that you will need to know to make the outcome of your purchase a good one. The first decision you need to make is whether or not you want an OEM or aftermarket canopy. Although we will be discussing several key differences between the OEM and aftermarket options it is important to point out that the main differences involve the method of attachment and the look of the canopy, specifically the OEM logo, which isn’t available on aftermarket canopy options. 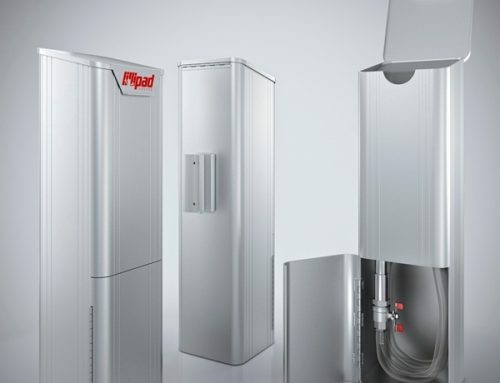 There are some circumstances where an aftermarket canopy might be a better choice, especially if your specific weather conditions make eliminate the OEM material as an option. Many of the OEM product lines are available in only one material, a factor that may limit their applicability for your specific needs, a case in which a thorough knowledge of your options is important. You can still go with an OEM product if you really want to, however, keep in mind that the longevity of the OEM canopy may be diminished if you live in an area with extreme weather conditions, requiring that you replace the canopy every 3-5 years versus every 5-10. One of the most obvious differences between these two options is the price. A 24’x120” OEM, ShoreStation™ canopy cover can cost as much as $1200.00, whereas an aftermarket canopy for a ShoreStation™ lift made from a Shelter-Rite™ material is just over $600.00. 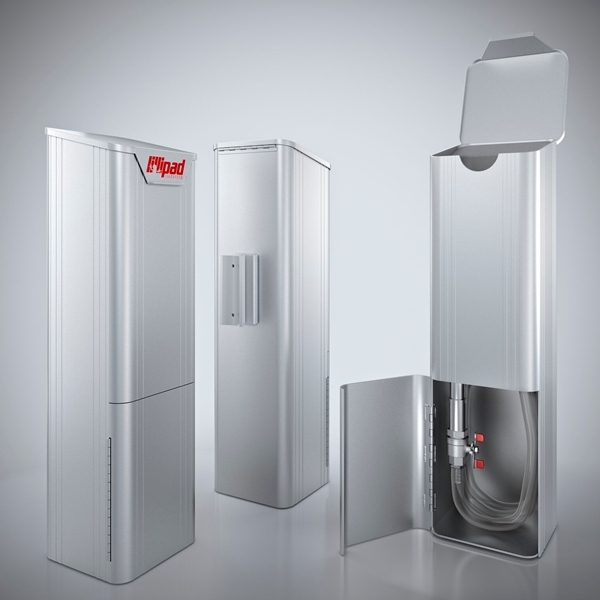 The price difference is attributed to far more than just the brand name or OEM logos, as patented construction processes and design features are part of the OEM quality that you would pay for. 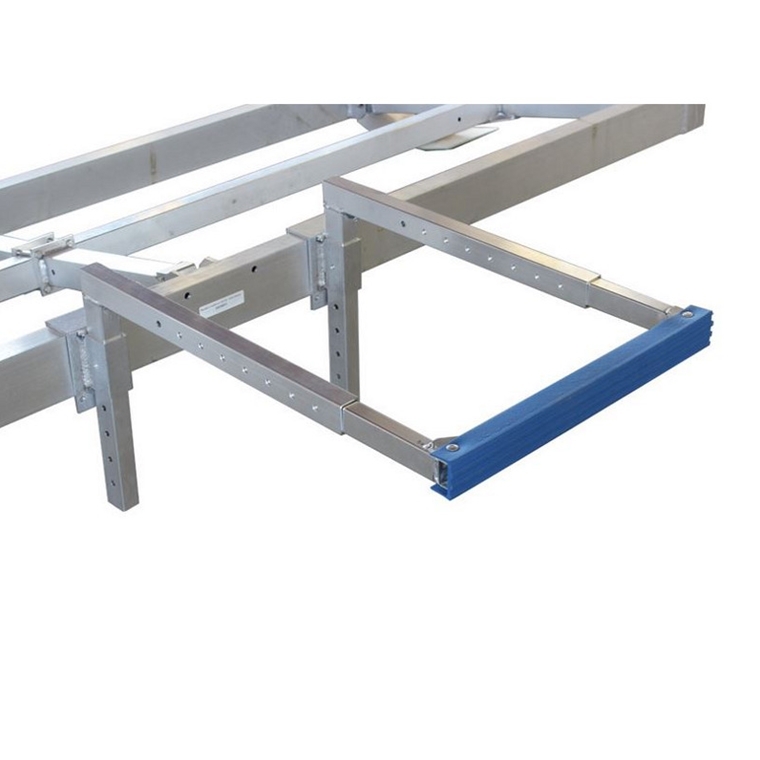 The OEM canopies are designed by the original manufacturer and are constructed specifically for the model of lift that you have. 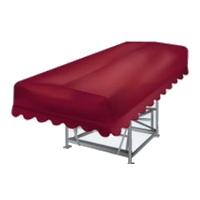 By way of example, if you have a 4000lb ShoreStation lift then you would want an OEM ShoreStation canopy cover. However, there are a number of canopies available that are made by a secondary manufacturer and use different materials to construct the canopy; specific to the canopy frame you have, and designed to provide a comparable product to the OEM model. If you’re in the market for a canopy frame, one of the first things you will need to determine is the proper length and width of the canopy that you require. 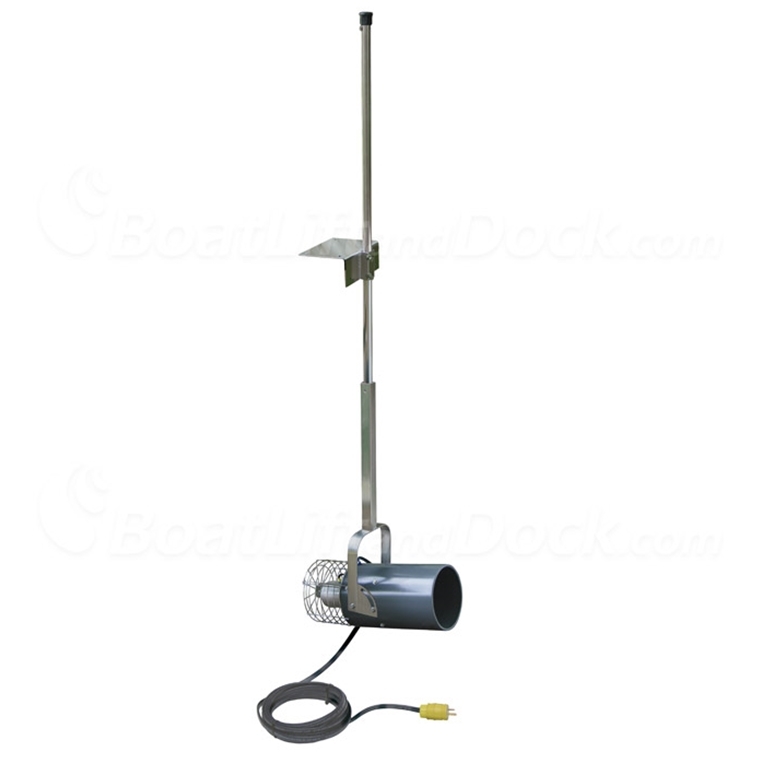 The most accurate method for determining this is to measure the inside dimensions of your lift from upright to upright across your boat lift. The length, however, is not as straight forward. This is largely determined by the length of the watercraft being placed on the lift. 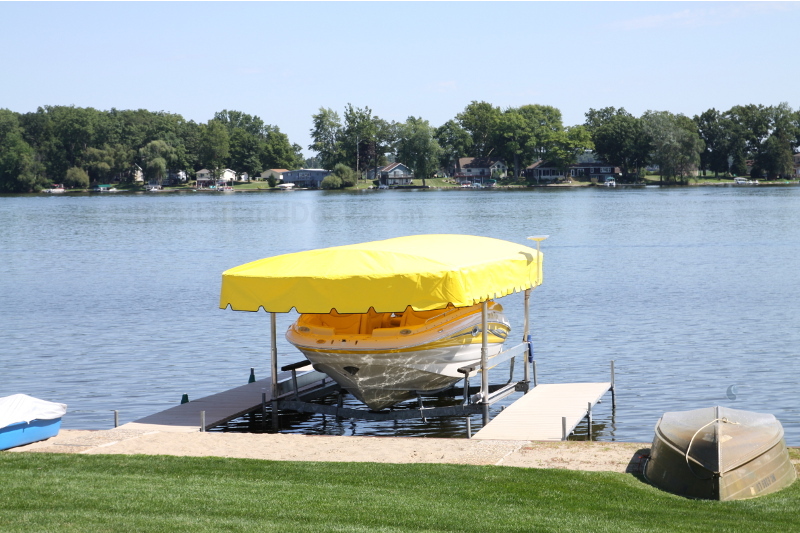 As an example, if you have a 22’ boat, you will want to allow at least one to two feet of canopy coverage at the front and back of the boat. 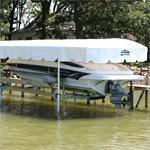 So, for a 22’ boat, we would recommend a 24’-26’ canopy frame. The next step will be to determine the dimensions of your canopy frame and the material out of which the canopy is constructed. 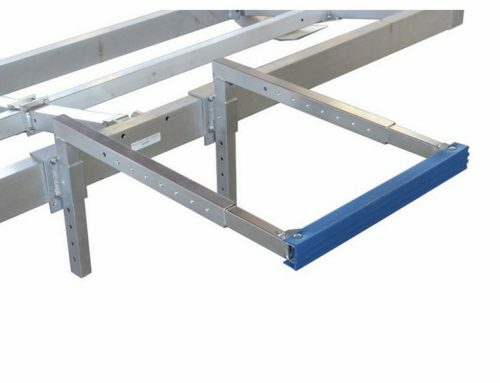 Not all canopy frames are measured in the same way and once you know what style of canopy frame you have, you will need to determine the exact measurements. 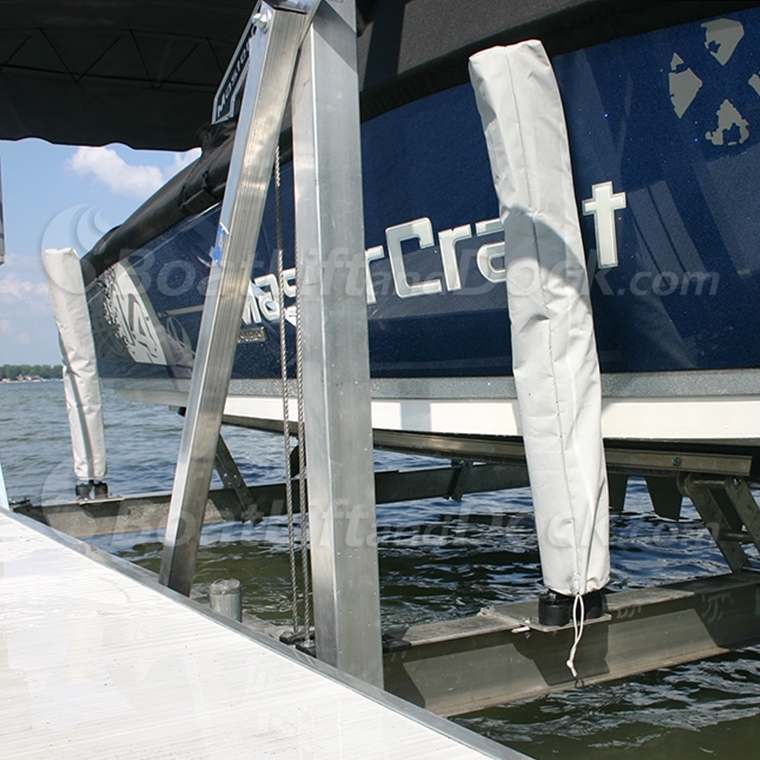 As an example, if you have a ShoreStation lift with an aluminum canopy frame, you will want to measure the side rail length and then add two feet; to get the width, measure the inside width of the bottom frame in inches, this will ensure that the canopy you choose will fit. For further information of this essential step, check out “How to Measure A Boat Lift Canopy Frame”. 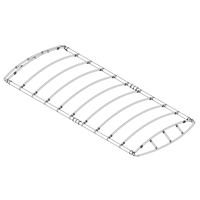 After you have made your decision to buy an OEM or aftermarket canopy and have learned how to measure your canopy frame, you will then need to decide on a canopy material. If you are buying an OEM model then you will get the OEM material. However, if you decide on an aftermarket model then you have several material options to choose from; each designed for specific conditions. This decision is very important as the environmental conditions in which the canopy will be employed are very important. Further, the price you will pay is dependent on the type of material and the method of construction of the canopy. Some of the considerations that are built into the canopy design are dimensional stability or the resistance to sagging, the weight or strength of the material, the resistance to fading or “color fastness” as well as breathability, ease of cleaning, and environmental resistance to things such as UV rays and mildew. Each of the materials we will discuss in part 2 of this article are constructed with these consideration in mind and represent the best the current market has to offer in marine canopies. There are three primary aftermarket materials that are available. These are Shelter-Rite™, WeatherMax™, and SeaMark™. Each of these materials has their strengths and weaknesses, yet each will perform well when used in the proper environment. The Shelter-Rite™, although constructed from a heavier material, which will resist sagging, is not as good as WeatherMax™ when it comes to color fastness and breathability. 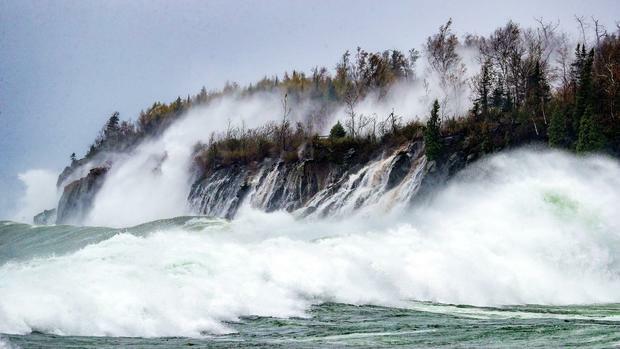 However, the WeatherMax™, because of its breathability, does not resist pooling of water and therefore penetration of rain as well as the Shelter-Rite™. 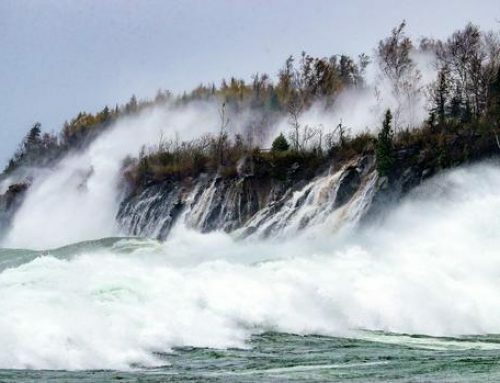 If you are in an area that is exposed to extremes of weather: excessive sunlight, or salt water conditions, then you may want to go with the SeaMark™ material. The choice of which material to go with can quickly become a highly nuanced affair and we will discuss the differences so that you can make an informed decision. To get a closer look at the specifics of the available options we have written a second part to this article featuring the three main canopy materials that are available.